Evaluate the potential benefits offered through the "design-build" form of bidding, which allows engineers, architects, and builders to form teams and bid on state projects in contrast to the current method which mandates that each entity bid separately. 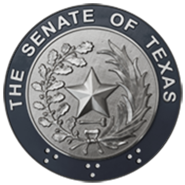 The Committee shall compare the State of Texas practices to other states and to the private sector and evaluate the "design-build" option as it relates to buildings, roads, and other publicly funded projects. Study the funding and expenditures of Councils of Government (COGs) and examine the changing relationship between COGs and the state and federal governments since 1982. The Committee shall monitor the compliance by COGS regarding publication of financial statements, as referenced in the General Appropriations Bill, HB 1, 76th Legislature, Regular Session. Review the statutory authority granted to local governments to regulate the development of residential subdivisions. The Committee shall identify conflicting provisions and make recommendations to clarify existing statutes. Monitor the implementation of SB 89, 76th Legislature, Regular Session relating to municipal annexation. Examine the powers, functions and programs administered by the Texas Department of Housing and Community Affairs (TDHCA) and the Texas State Affordable Housing Corporation (TSAHC). The committee's report will assess the methodology used in allocating the various housing funds and resources, including the Low-Income Housing Tax Credit program and the Housing Trust Fund, and the compliance by the agency with that methodology, and address whether the programs administered by TDHCA and the TSAHC meet the affordable housing demands of targeted population groups throughout the State of Texas.